Edited by Dr. Hieronymous Alloy, 21 May 2018 - 01:39 PM. 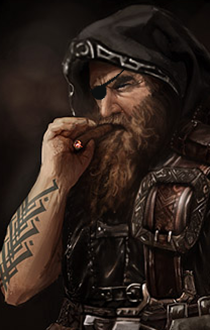 I posted two characters in the portraits thread. I think it's ok for a first try. Thank you! followed the tutorial and its amazing! Blurring the image at the start doesn't always work for me and the problem becomes very apparent at the final stage when resizing images into 90:141 and 76:96. Are there any other alternatives to "smooth out" the details? So I followed the instructions, starting with the lg portrait size, so I can get my bearings. When I finished the portrait looked washed out, so with some trial and error I took the blur layer. I erased everything but the character, and set the opacity at 85%. Overall it was a little more involved than I was hoping for, but I can't argue with end results. This is my first post, just wanted to say thanks. Due to the borders not being well defined when using your technique I used a photocopy layer with white to alpha instead. Second attempt turned out better, due to much nicer lightining of base image. Thank you for your help. This are the portraits for anyone who wants them. My second attempt...well 3rd attempt, 2nd completion. Edited by Voodoo, 17 August 2018 - 01:48 AM. Well dagnabbit...I guess I'm still trying to figure out how to post images. 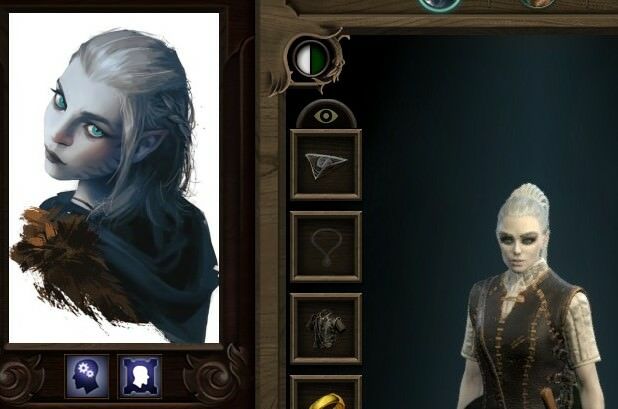 And Voodoo, I agree they look far better than PoE 1. So here they are in the method I know.